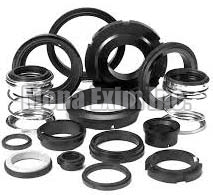 Our company shares glorious credentials with the successful Manufacturers, Suppliers and Exporters of Carbon Seals. The Seals we make available are manufactured using advanced technology in compliance with set industrial norms. Strict quality-tests ensure that only defect-free Seals reach the buyers. Bulk orders of these are processed by us as per the specific requirements of the buyers. One can obtain these at nominal rates from us.